I am writing to protest your sponsorship of the Leah Remini show on A&E. This show is spreading rumors and untruths. 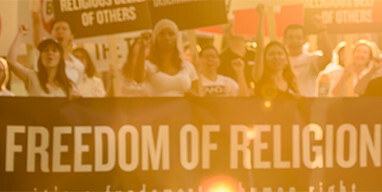 It is inciting violence, hatred and discrimination against the Church of Scientology and its members. Consider the recent violent activities in Charlottesville, Virginia, incited by hate speech. In this day where people of goodwill are calling for more understanding and interaction amongst diverse groups, it is shocking that this show is allowed to stay on the air. One thinks that the U.S. has progressed in sensitivity and tolerance until broadcasts such as this occur. The truth about the Church of Scientology is that it HELPS people through its social betterment and humanitarian programs such as The Way to Happiness, the Truth About Drugs and Youth for Human Rights. Wise words from one of the greatest leaders of our time. Please heed my request and remove this programming from your station. Take a stand on bigotry and social justice. Most people are good and want to view good programming, not garbage. LinkedIn—It Can’t Be True, You’re Supporting Pro Bigot Leah Remini?